Ferrari continues to hold strong in the 2017 Formula One Championship, with a hard-fought finish at the Azerbaijan Grand Prix in Baku. Championship leader Sebastian Vettel took fourth place, further extending his lead over his nearest rival by 14 points. Unfortunately, Ferrari’s other driver Kimi Raikkonen was forced to retire due to a collision which occurred a short way into the race. Exciting from start to finish, the Baku Grand Prix proved a difficult race for multiple drivers. Top Ferrari driver Sebastian Vettel reached his fastest time on lap 9, and found his way to the front where he was pitted against his biggest rival in the F1 Drivers’ Championship, Mercedes-Benz driver Lewis Hamilton. One exciting moment came during lap 17, when the debris left by a damaged vehicle caused a safety car to be released onto the track to clean the road. This damage came as a result of one of the collisions earlier in the race that claimed Raikkonen’s Ferrari vehicle. With the safety car on the track, drivers had to drive through the pit lane while the track was cleaned. During this time, Mercedes driver Hamilton braked too much with Vettel close behind, causing Vettel to bump into the back of the Mercedes car. Angered by this, Vettel swerved into the Mercedes car, earning him a 10-second stop-go penalty for “dangerous driving”. Hamilton took to the pits to fix his headrest at the same time Vettel was forced to stop for his penalty. Once he resumed his drive, Vettel found himself ahead of the Mercedes driver. By the end, Vettel managed to maintain his lead over Hamilton, and secure a fast-paced, fourth-place finish with a time of 2:04:01.549, just 5.976 seconds under first place finisher Danial Ricciardo of Red Bull Racing Tag Heuer. After an exciting finish in Azerbaijan, Ferrari hopes to continue its success in the next Formula One race, which will be held in Spielberg, Austria. The Austrian Grand Prix will be the ninth Formula One race this year and will be hosted on July 9, 2017. For more information on Ferrari’s performance in the 2017 Formula One Championship, be sure to check out the rest of our blog. You can also check back with us later for the results of any upcoming races as well. 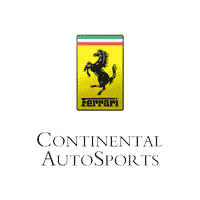 If you have any questions about the Ferrari lineup, or would like to get behind the wheel of a model of your own, contact us online or give us a call here at Continental Ferrari for more information.